Learn how to draw 101 different animals. It's easy! Follow the simple step-by-step drawings and you will soon be amazing all your friends with your new-found artists' skills! 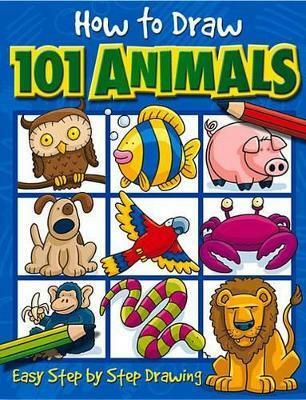 This 48-page book from Top That Publishing contains step-by-step line drawings to help budding artists draw 101 different animals in various shapes, sizes and poses. Since each image is broken down into six simple steps, children will quickly gain in confidence when they see their finished results, and will soon be adapting their designs and drawing freehand pictures of their own. Ideal for junior artists age 5+.